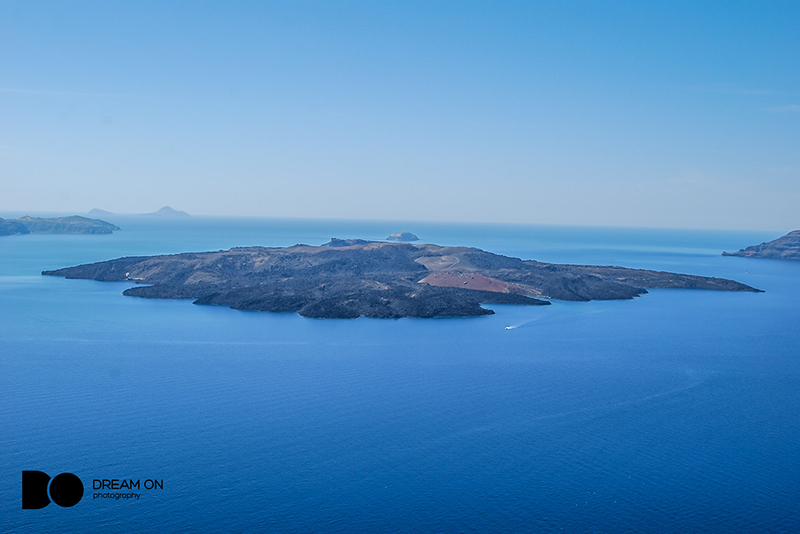 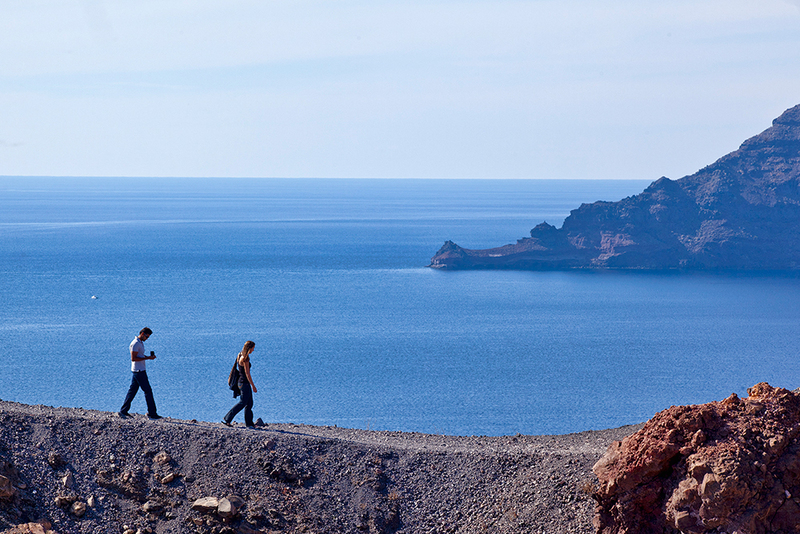 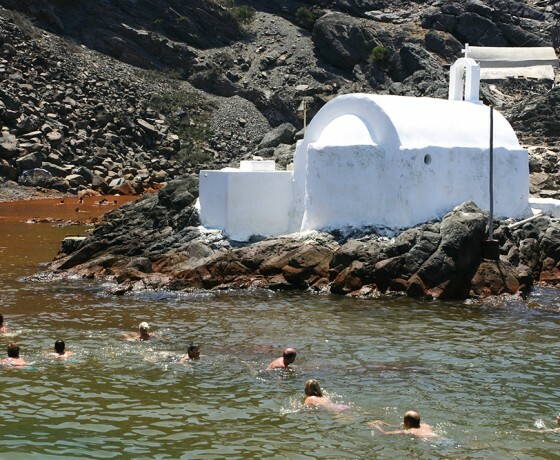 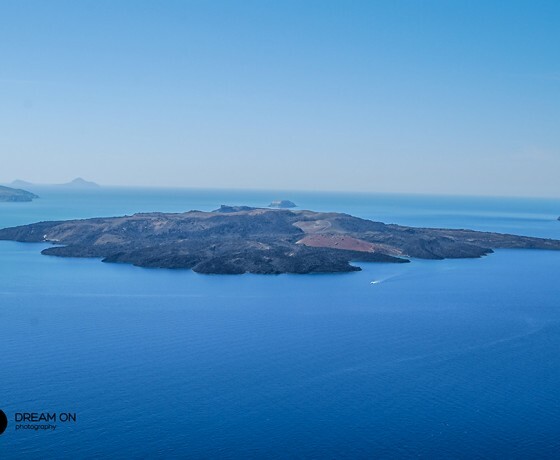 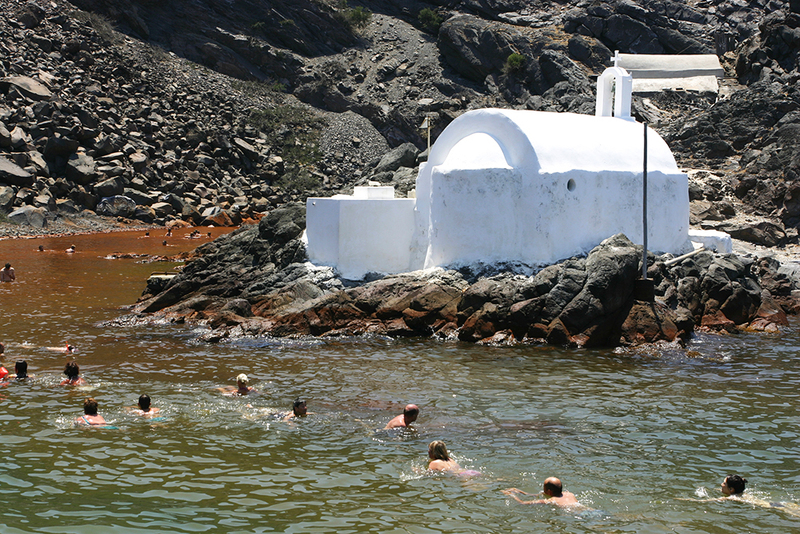 After your return back to the boat the cruise continues to Palia Kammeni Island (Old Burnt) where you can have the experience of a lifetime, swim in the hot springs created by the volcano’s underwater power .After 30 minutes the boat cruise back to the Old Port of Fira. 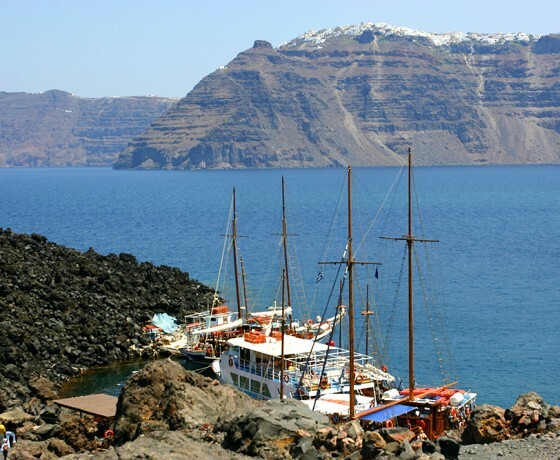 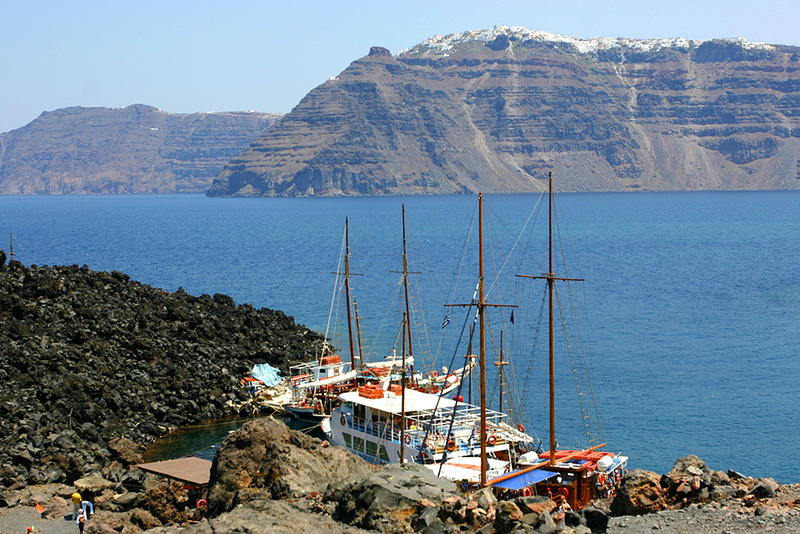 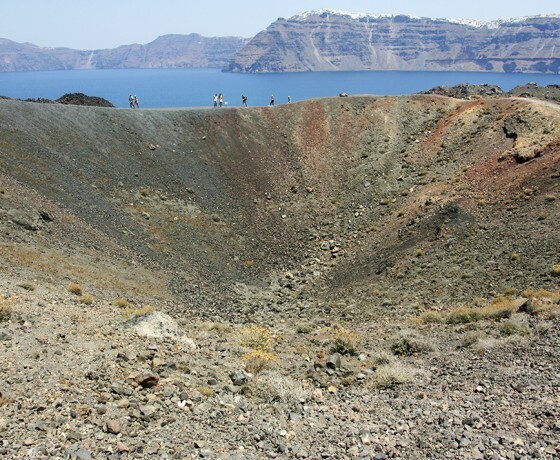 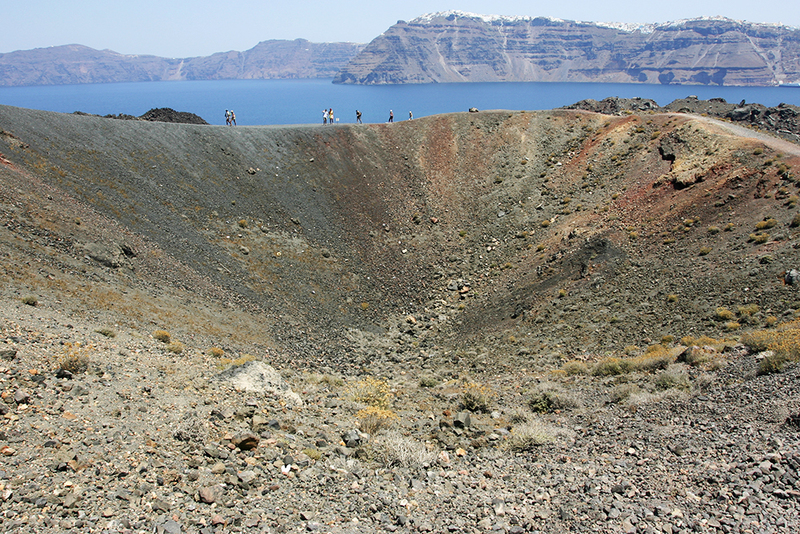 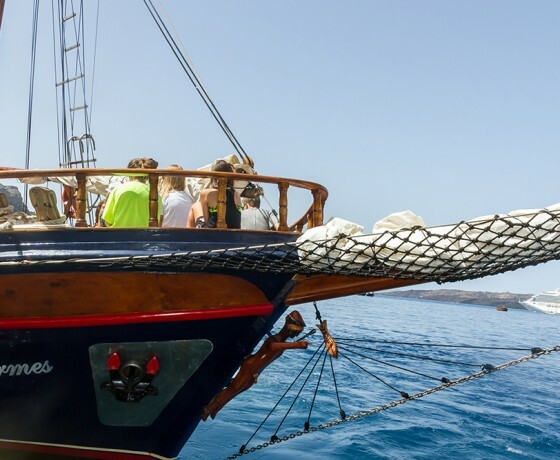 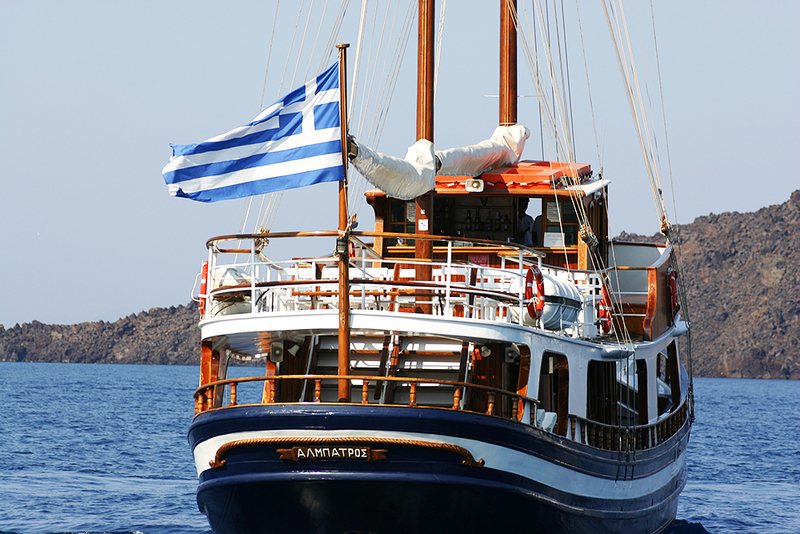 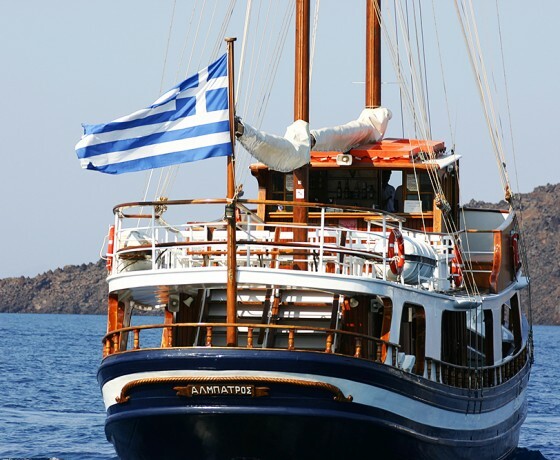 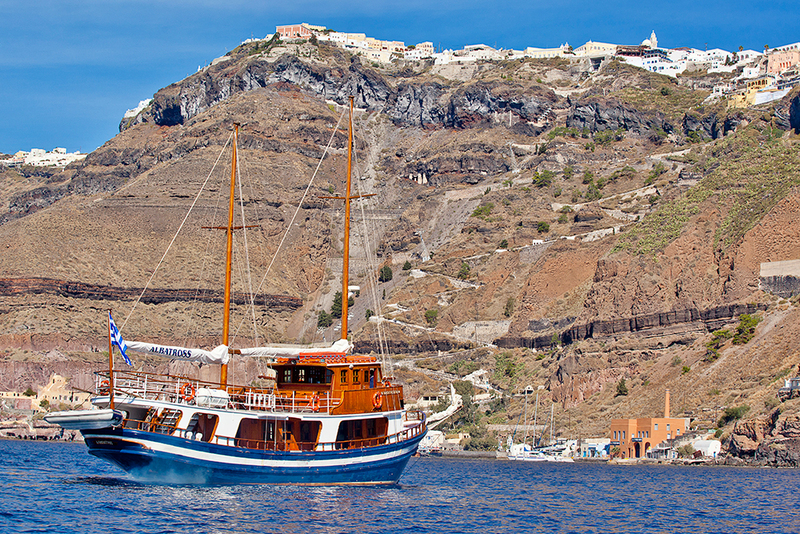 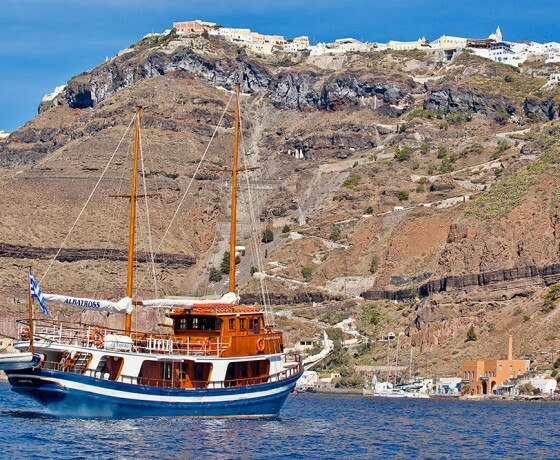 Treat yourself to a day boat trip through the caldera off the coast of Santorini, walk on the Volcano’s black land and enjoy swimming in the hot waters. 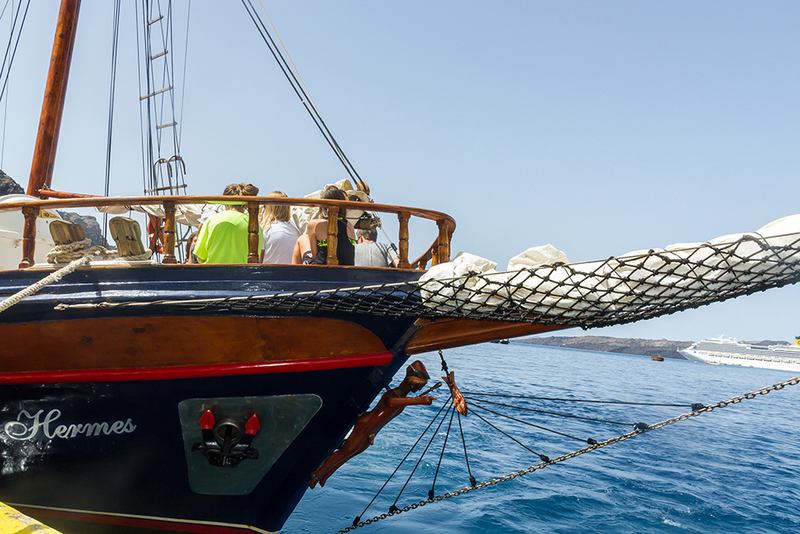 Booking info: After your reservation online or by the phone, we will send you a confirmation email including a voucher with your payment information, complete tour organizer information, meeting location, departure time, and local operation telephone numbers at your destination.